Novak Djokovic has long been men’s tennis’ third wheel. It’s easy to see why. There is so much reverence for Roger Federer and Rafael Nadal — the two most successful men’s players ever — that Djokovic can be somewhat overshadowed and, maybe, slightly underappreciated. The Swiss and the Spaniard’s games are easier on the eye — certainly for those who aren’t tennis tragics. Federer has the grace and serene style juxtaposed by the force of nature that is Nadal, who is all power and physicality. 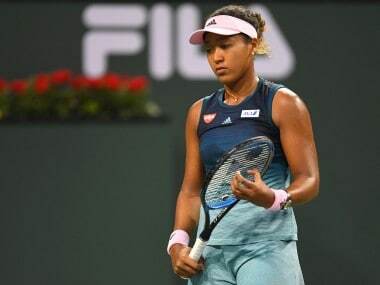 Their rivalry has almost transcended men’s tennis; it’s the Ali-Frazier for this generation. In contrast, Djokovic’s game isn’t quite as intoxicating. 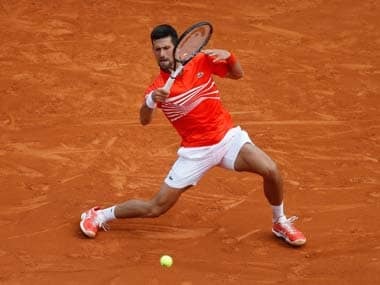 He has the best put together game perhaps ever, highlighted by an impeccable return of serve, but Djokovic doesn’t really boast a signature shot that endures. Federer has his sublime backhand that brings a lump to the throat of tennis connoisseurs, while Nadal’s sizzling crosscourt forehand forces you to do a double take. It’s another reason they endear more widely than Djokovic and why the starting point over the GOAT (Greatest Of All Time) starts with Federer and Nadal. However, after winning the US Open on the back of Wimbledon, Djokovic should be given much more consideration for the GOAT. Perhaps some won’t acknowledge it, but undoubtedly the Serb has legitimate claims over the lofty title. With tennis, one can fall into a trap of merely just looking at the number of Slams — hence why Majors leader Federer (with 20) generally has consensus over Nadal (with 17). However, it’s not that simple. You can only play the competition, but Federer did hoard titles during that somewhat shaky period in men’s tennis – the post Sampras/Agassi and pre Nadal/Djokovic period of the mid-2000s. Federer claimed 12 slams from 2003-07 but found the going considerably tougher as Nadal entered his prime and Djokovic — and to a lesser degree Andy Murray — emerged. The case for Djokovic is that he came along right in the middle of Federer and Nadal’s peaks in the late 2000s, where they met in almost every Grand Slam final for several years. After breaking through at the 2008 Australian Open, a youthful Djokovic had to bide his time as he spent a record 91 consecutive weeks stagnant at number three. It seemed like he was a notch below the top two but Djokovic eventually found another gear and started dictating his rivals. In fact, Djokovic has a winning overall record against both Federer and Nadal. He has beaten Federer multiple times at Wimbledon — on Federer’s preferred grass surface — and conjured the improbable and beaten Nadal at the French Open to be one of only two players to have dethroned the Spaniard at Roland Garros. In the heated Federer-Nadal GOAT debate, the Swiss master’s supporters point to Nadal’s skewed Grand Slam tally – 11 of 17 Majors have been won at the French Open compared to a more even spread for Federer. However, Djokovic – much like Federer — has shared the trophies around. Djokovic has been at the top for a long time now. Since the start of 2011, Djokovic has consistently been the best player in the game and it hasn’t really been close bar his dip from 2017 to mid this year due to persistent elbow issues. He has owned this decade winning 13 Slams compared to Nadal’s 11 (three of which were consecutively in 2010) and Federer’s 6. Djokovic has played a staggering 21 finals compared to next best Nadal with 16, and been No 1 for 223 weeks (Nadal comes in second with 143). Having claimed the past two Slams, Djokovic has now reached the magical number of 14 Majors – third all-time alongside Pete Sampras. Quick tangent: It is quite remarkable how Sampras’ tally – a landmark figure when he retired — has fairly quickly been tracked down. It’s been truly extraordinary that Federer, Nadal and Djokovic — most certainly the three greatest men’s players ever — have been playing concurrently for so long. We have been down this road before on Djokovic’s candidacy. 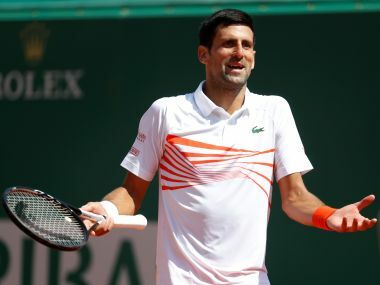 After he amazingly held all four Majors at the same time in 2016 – a feat Federer and Nadal have not achieved – talk started reverberating about Djokovic ‘s legacy. Of course, things fell apart for him after that and then Federer and Nadal astonishingly enjoyed unexpected renaissances. Once again, Djokovic had been pushed back into the backdrop but he has now re-emerged and one suspects – at 31 years of age – he still has some prime years left. 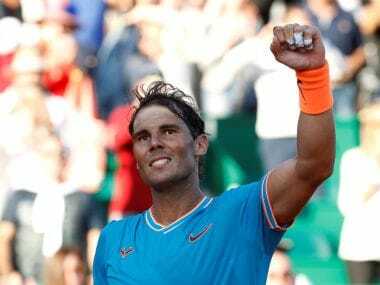 He will need a few more stellar years to push his GOAT case to the sceptics – to get closer in Slams to his rivals and also boast the type of longevity that fuels Federer and Nadal’s legacies. At the very least, this should ring true: Djokovic has been the player of the 2010s. Maybe, just maybe, if things go to plan for him during the next few years, Novak Djokovic will be the GOAT when it’s all said and done.